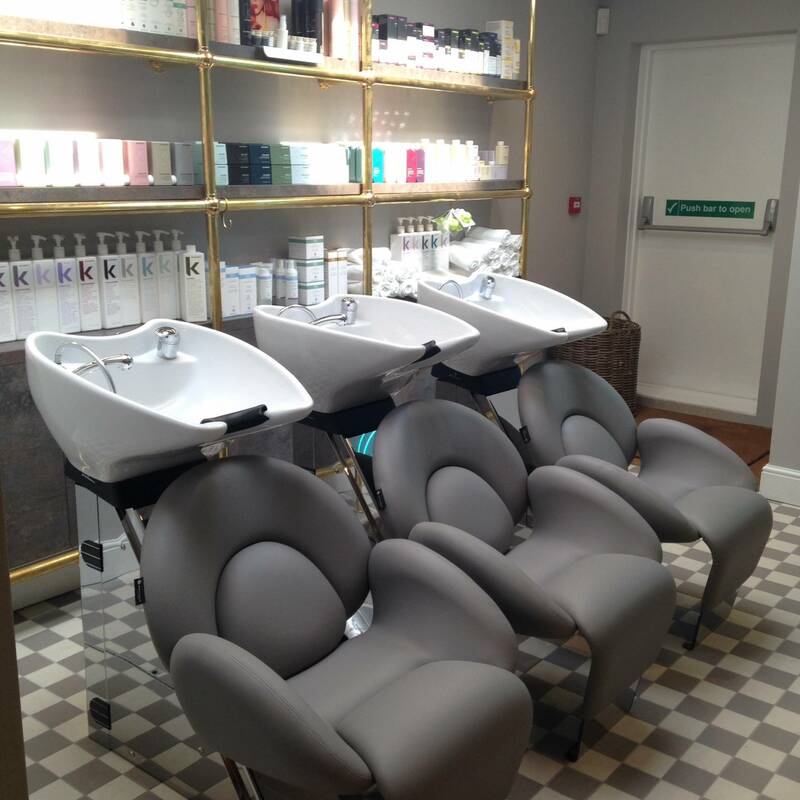 I recently had the pleasure of being invited to check out a new salon that recently opened up on the famously posh Kings Road. 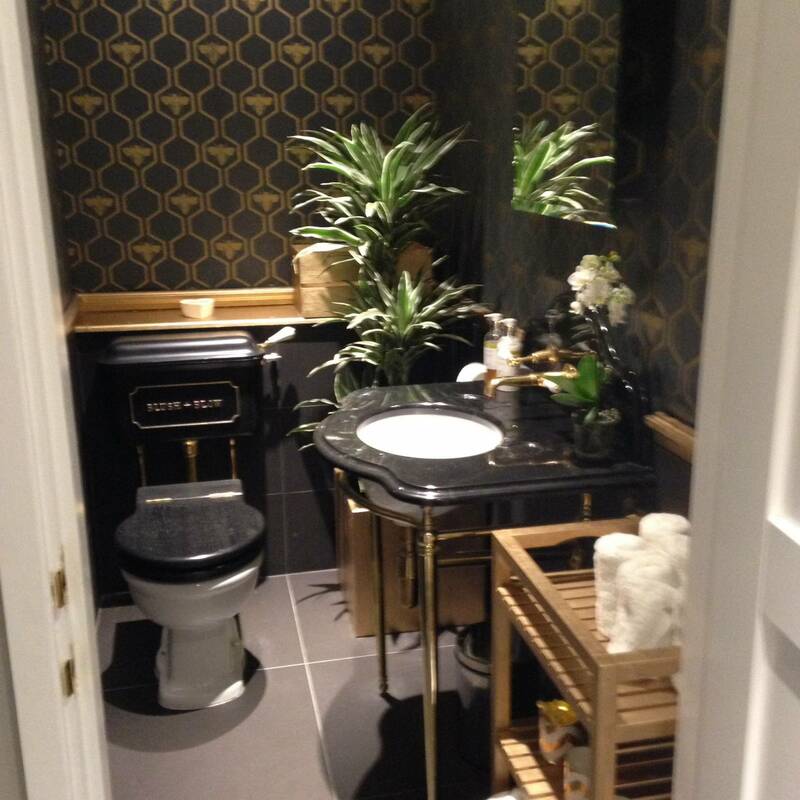 Being that it was situated in Fulham I was expecting a pretentious environment with over priced distinctly average treatments on offer and a opulent yet uncomfortable surrounding. 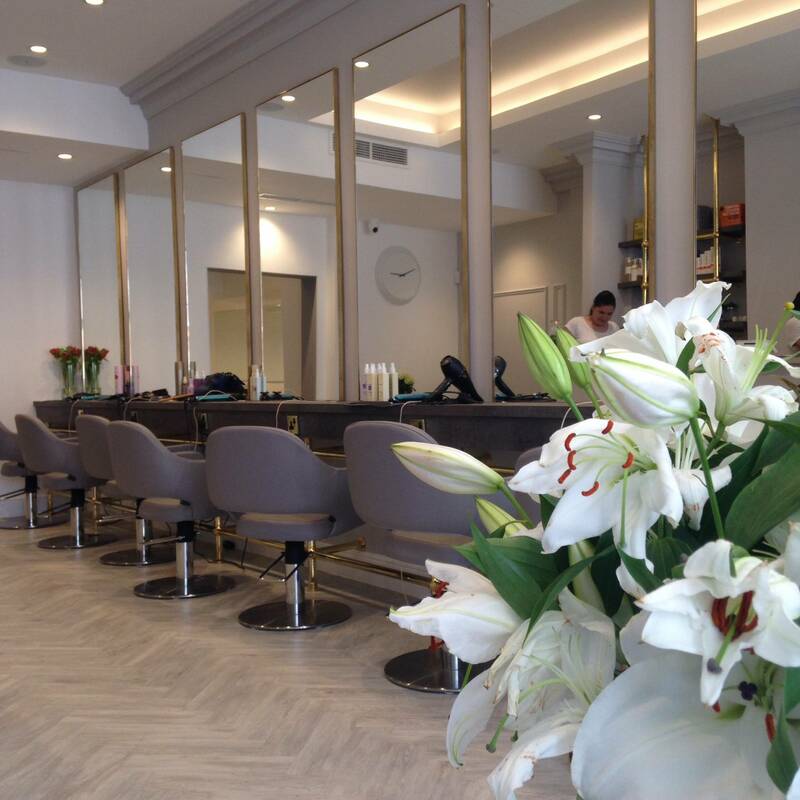 In fact what I discovered is what has to be one of the most quaint salons I have ever seen with so much curb appeal that it makes you want to walk in a book yourself every treatment on the menu. 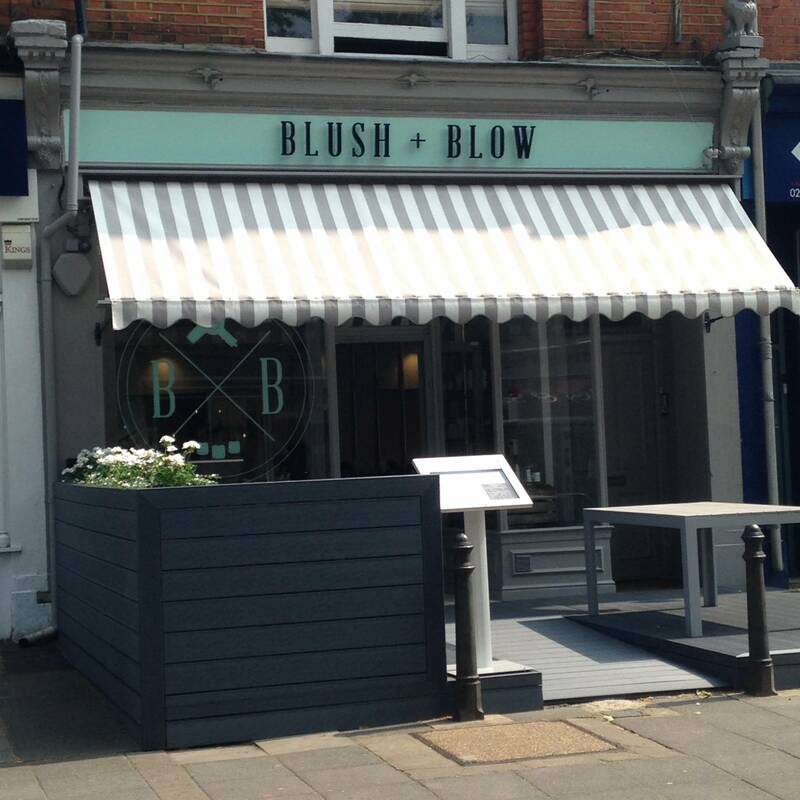 I was greated by the relaxed and friendly Bridget who is a 29 year old make up artist turned entrepreneur and in fact the owner of Blush + Blow. She welcomed me along with a few of her staff and instantly offered me a coffee or a tea. When I asked if they had iced coffee as it was a rather warm day she politely told me that they didn’t but they would get me one and before I knew it she had sent a lovely young lady to the coffee shop next door to get me the iced coffee I desired! Talk about a welcome! 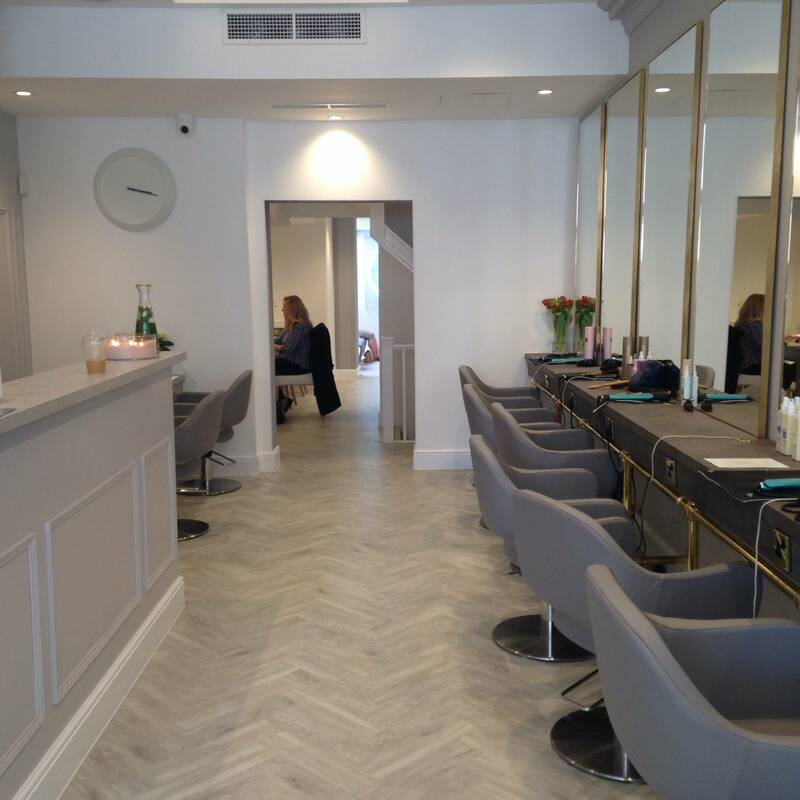 She then took the time to discuss what I wanted out of the facial and blow dry I had booked and discussed my options then she gave me a tour of the fantastic spacious beauty parlour. Decorated in a dove grey pallet with minty accents the vibe is calm and relaxed. 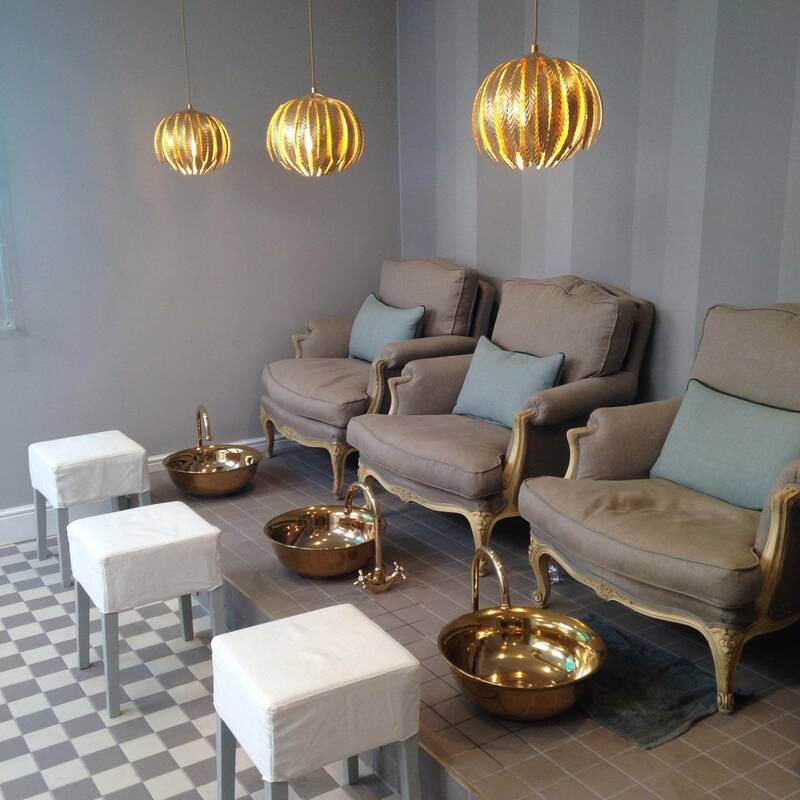 But it still feels luxury and modern with sumptuous pedicure thrones, golden foot spas and white linen walls in the treatment rooms. 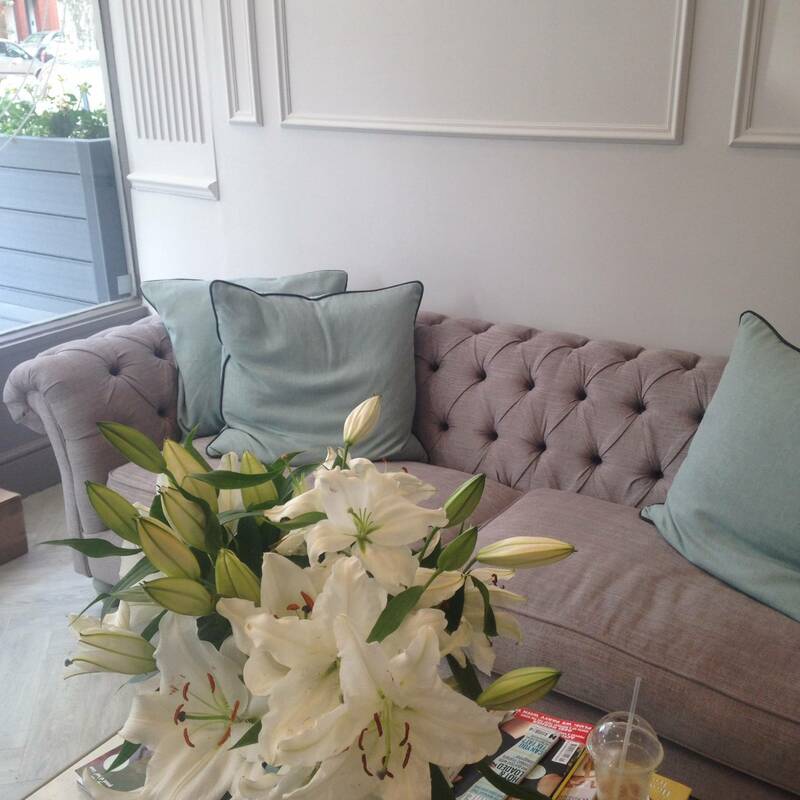 If I could design a salon of my own this would be exactly what I would want! The owner has added such lovely touches, a branded doggie water bowel out on the front deck, an outdoor seating area, a princess play area complete with mini dressing table, phone chargers at every blow dry chair (genius!) and child friendly nail polish and lipstick for mother daughter pamper sessions. This is a spot that has really thought of everything. My facial was hands down one of the strangest yet affective facials I think I have had ever! 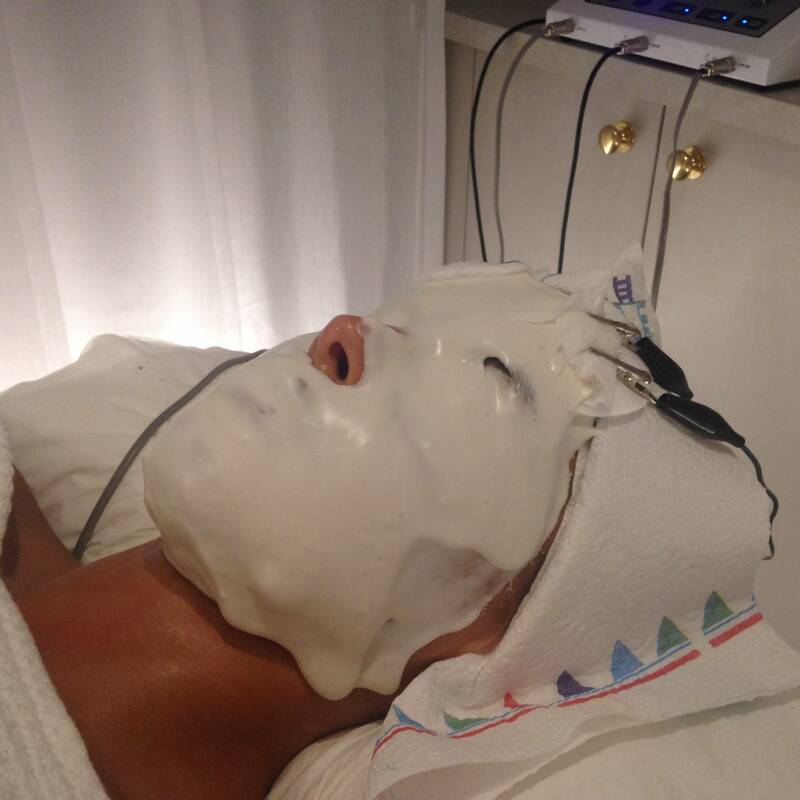 I opted for the Environ facial (£75.00) which included the therapist using eclectic current and ultra sound on my face to encourage the vitamin rich serums into the deeper layers of my skin. 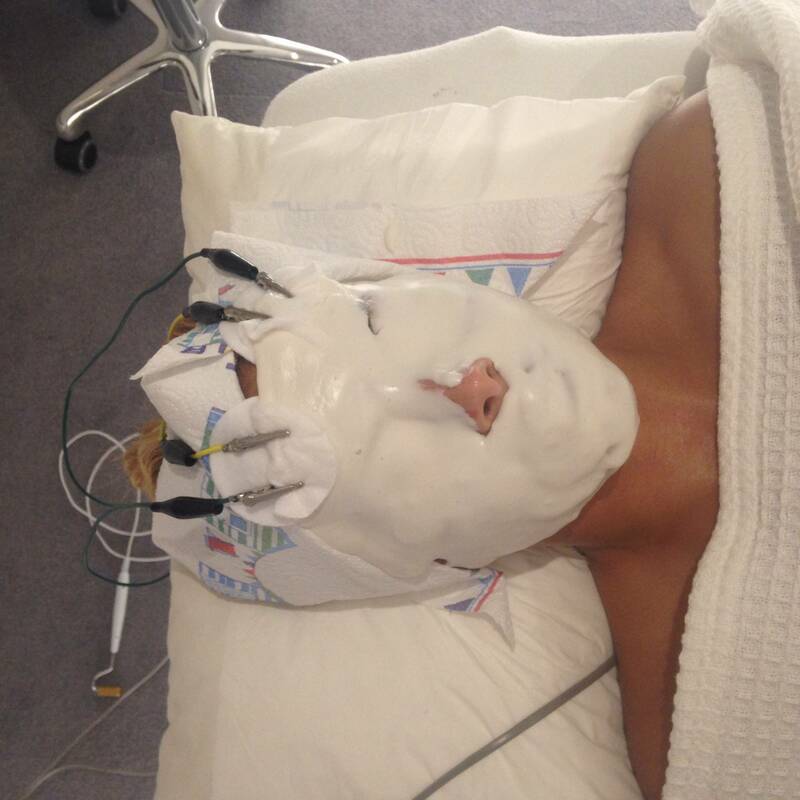 It wasn’t like any facial I had had before being that the sensation of the electric current took a lot of getting used too but it was worth it as my skin appeared plump and glowing afterwards. The mask was cool and tingly and really helped with the dark circles under my eyes especially as the mask covers them entirely. I really loved the fact that it was a treatment that really seemed to be actively doing something. The girls were super friendly and professional, and very egar to please. My hair looked great when I left, although it didn’t last for several days like I would like when getting a professional blow dry. But having only been open for one week there is plenty of time for perfecting it’s hold. I’m sure the girls are just getting used to working with new products. 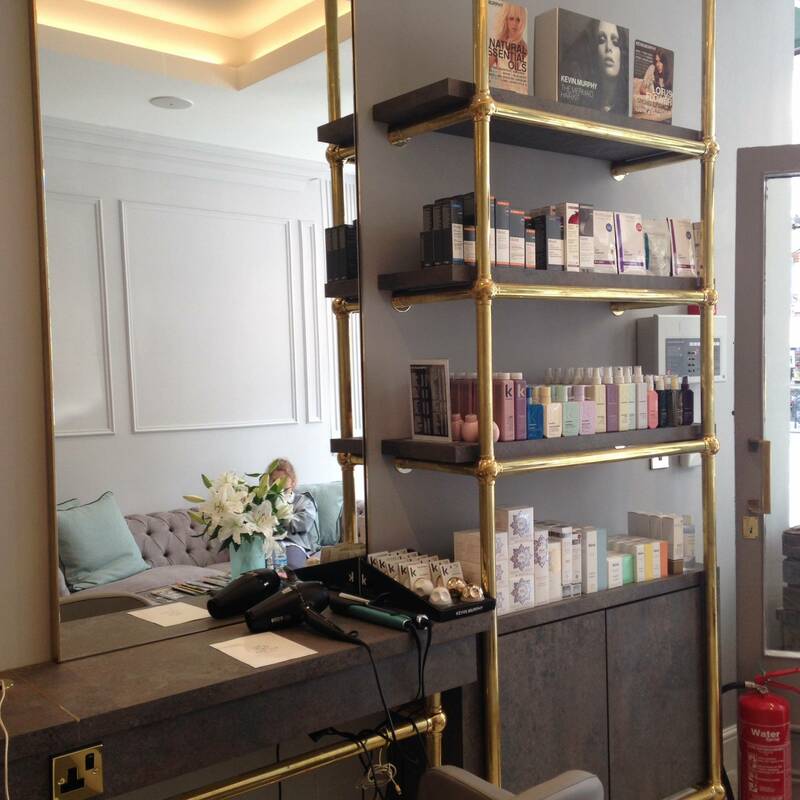 Overall this salon ticks every box I wanted checked to turn me from a one off visitor to a frequent client. I would give it 5 stars and throughly recommend it for maintenance appointments as well as a special occasion such as a bridal shower or mother daughter pamper day.